Ever catch your cat looking like they’re trying to “make biscuits”? 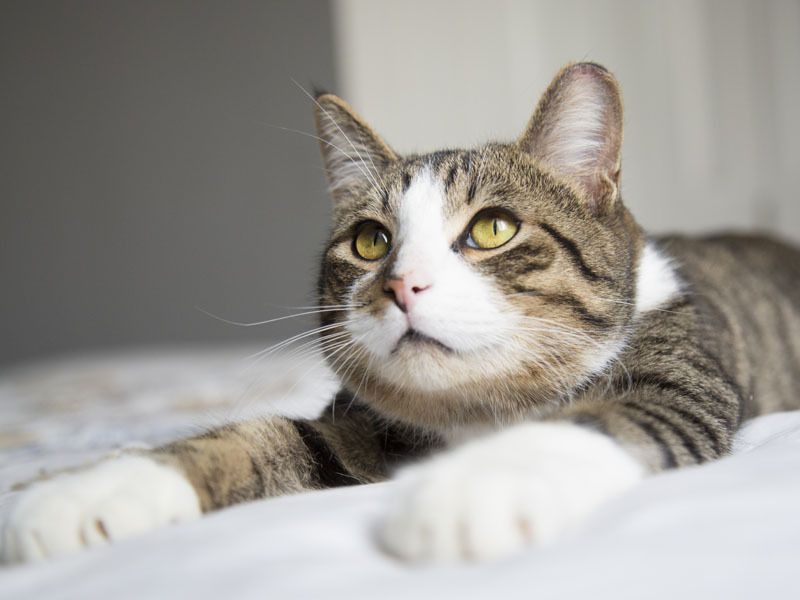 We all know this quirky but adorable behavior: Your cat rhythmically kneads their paws and pushes them out onto a soft object, such as a carpet, pillow, comforter – or your lap. They may also purr contentedly or even drool while doing it. 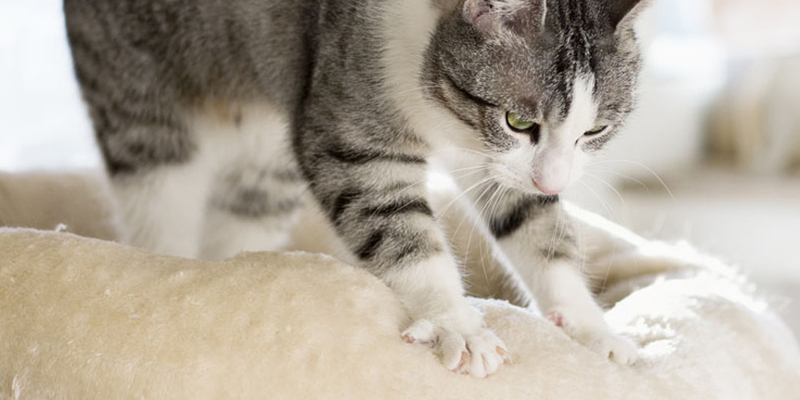 Not all cats knead, but it’s a pretty common behavior for both kittens and older cats alike. So why do they do it? No one seems to know for sure, but here are a few likely theories! Kittens begin to knead while still nursing, before they’re able to get around on their own. 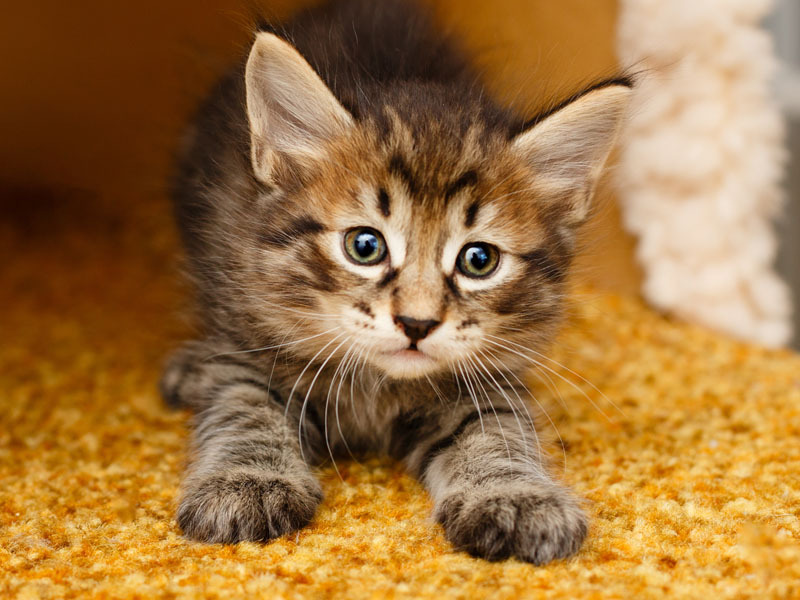 A nursing kitten will knead to help stimulate their mother’s milk production, and they may continue to knead as adults, as they still associate the motion of kneading with the comfort of nursing. Back in the time when wild cats patted down grass or leaves to make outdoor beds for themselves, they may have kneaded to do so. Today, you may see them doing this to their cat bed before settling down for a snooze. Cats have scent glands in the pads on the bottoms of their paws. So, when they knead, it may be to mark their territory by releasing their scent onto the surface being kneaded. And if that surface is you, that means your cat is telling you that they feel safe around and you, and are claiming you as their own! 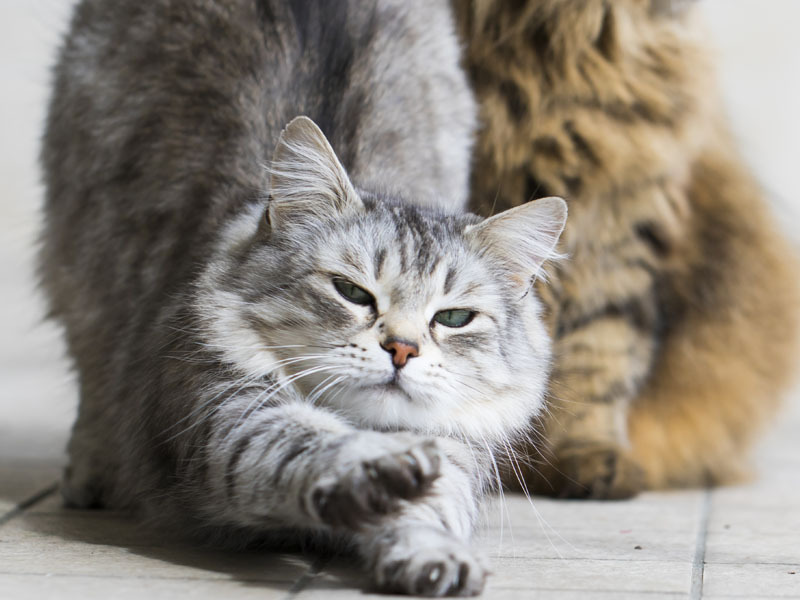 After all that climbing and strange posing, cats may need to work out the kinks in their paws to keep limber – and what better way than stretching them against a soft surface? 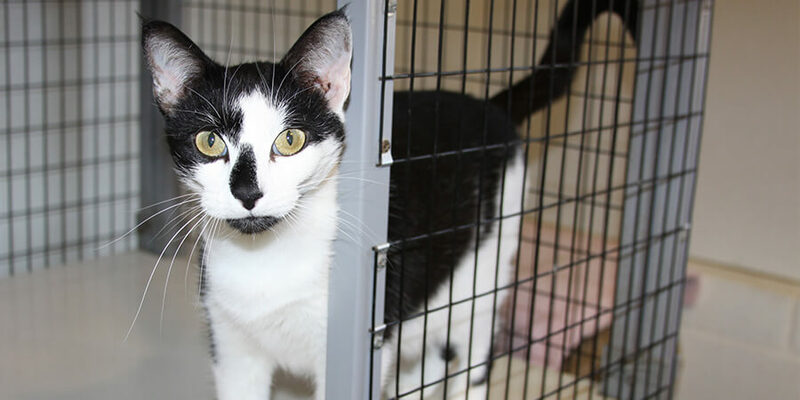 Female, unspayed cats are known to knead their paws before “estrus,” or going into heat. The act of kneading is a sign to male cats that the feline wants and is able to mate. 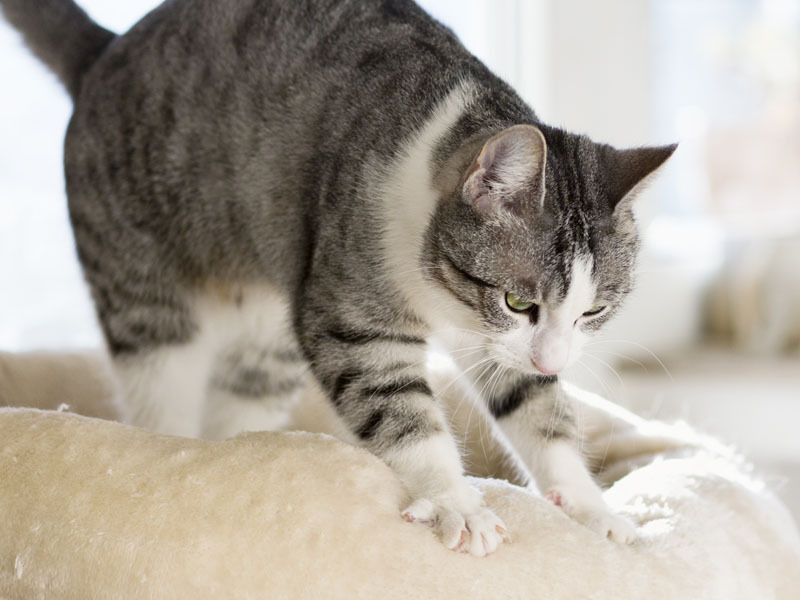 If your cat’s kneading is hurting you or causing damage in your home, it’s a good idea to keep their claws trimmed. Use special cat claw trimmers, or a small pair of human nail clippers, and trim just the very tip of the claw, making sure not to cut into the quick, where nerves and blood vessels are located. Or, grab a towel or pillow to put on your lap to create a barrier between your legs and your cat’s nails. 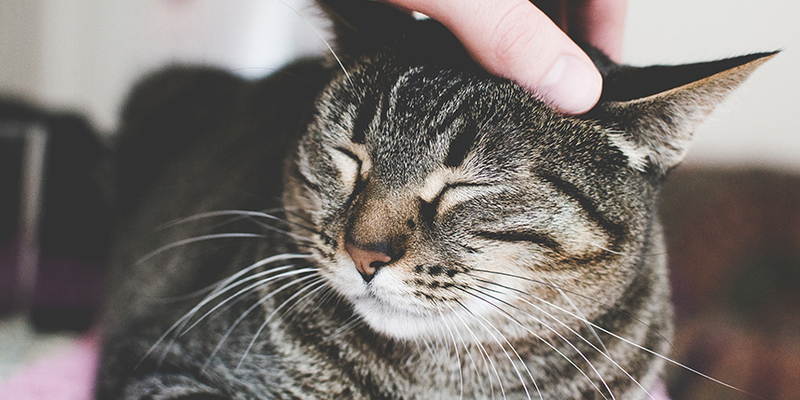 We know our cats need us – now you know a little bit more about why they knead us, too! Stress, hunger or even a lack of attention may have your cat meowing. 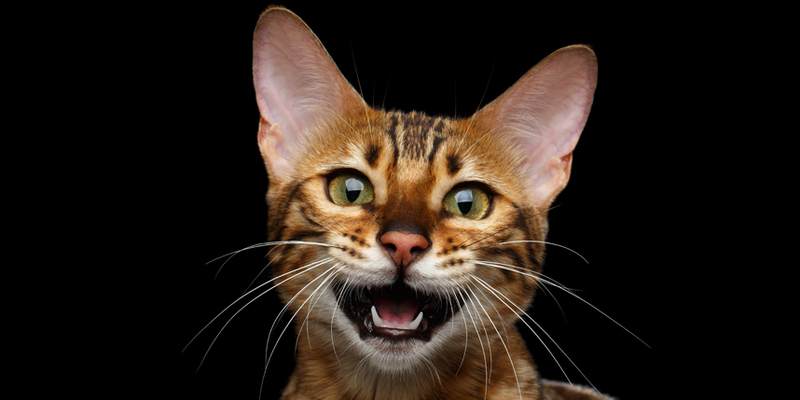 Learn how to decode your cat's tiny voices.